May 6 is Grabouw day. Two sporting events on May 6, 2017 will bring the Grabouw community together to celebrate the end of the harvest, help to raise funds for local schools and promote healthy living. 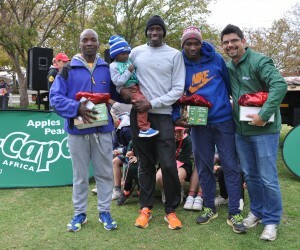 Tru-Cape Fruit Marketing, the largest marketer of South African apples and pears, many of which are grown and packed in the Elgin/Grabouw valley, sponsors both events as an ongoing contribution to the local communities where many of its growers live and work. According to Conrad Fick, Tru-Cape’s Marketing Director, the decision to support both these events stems from the growing success of these fund raising efforts which, collectively, contribute well over R150, 000 to Grabouw High School and Applewood Preparatory. The challenging Tru-Cape Grabouw MTB will be at The Grabouw Country Club while the Tru-Cape Applewood Trail run will be on the opposite side of the N2 in Grabouw at Applewood School, both on the morning of Saturday, May 6. The run begins at 08h30 for a 11km trail through the beauty of the surrounding farmlands, whilst families can participate in a gentle 5km fun run which starts half-an-hour later. Applewood mom and event convener Catherine Boome explains: “The scenic courses will take you through the apple and pear orchards that make up the beautiful environment of this country-based school. It’s a great race for both beginner and experienced trail runners. There will be cash prizes for the first three men and women in the 11km and fun prizes from a lucky draw for the 5km fun runners. There will be a Harvest Festival following the race which will, as it was last year to so much acclaim, be filled with apple-themed activities and the best of Elgin’s gourmet artisanal and farm-grown produce.” Boome says that people can expect fine fare from local restaurants including The Poolroom, Hickory Shack and Peregrine along with craft cider and Elgin wines. “Master an apple tasting, buy apple pies and apples by the bag and let the kids run free. There will be lots of entertainment for both young and old from live music to hay-diving, zip-lining, scarecrow building and apple hunting as well as loads of beautiful crafts and goodies from local makers”, she says adding that although Grabouw is just one hour from Cape Town, people wanting to make a weekend of it can find many variably priced accommodation options by contacting www.elginvalley.co.za. Meanwhile, MTB riders already know that the Tru-Cape Grabouw MTB is the must-do event and this year is no different. Grabouw High School’s principal, Herholdt Bezuidenhout, the force behind the school’s most significant fundraiser agrees that whatever your discipline, Saturday May 6 is when you need to be in Grabouw. “While there will be many technical challenges and single track (some of which was terrain is covered during the Epic) the three routes 50km, 25km and 10km of The Tru-Cape MTB Race on Saturday, May 6 offer something for everyone adding there will be new single-track, routes through pine forests, on gravel, on sand around dams as well as on hard surfaces, describing this event as one of the most scenic routes available. The Tru-Cape Grabouw MTB is again at The Grabouw Country Club with many activities for supporters and young families including jumping castles, music and coffee and food stations. mtbinfo@hsgrabouw.co.za for more information. Online entries at www.pedalpower.org.za click on events, all events and click on TRU-CAPE. 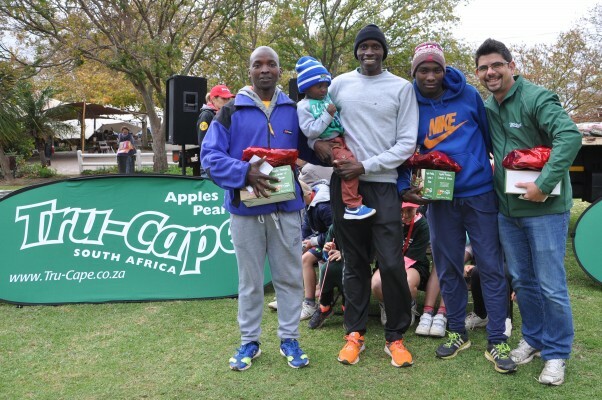 Entries to The Tru-Cape Applewood Trail Run and Harvest Festival are available via www.Quicket.co.za and at the gate.